If a bounty has ended for a question that doesn't have any answers, don't suggest awarding the bounty, some other text should be used. 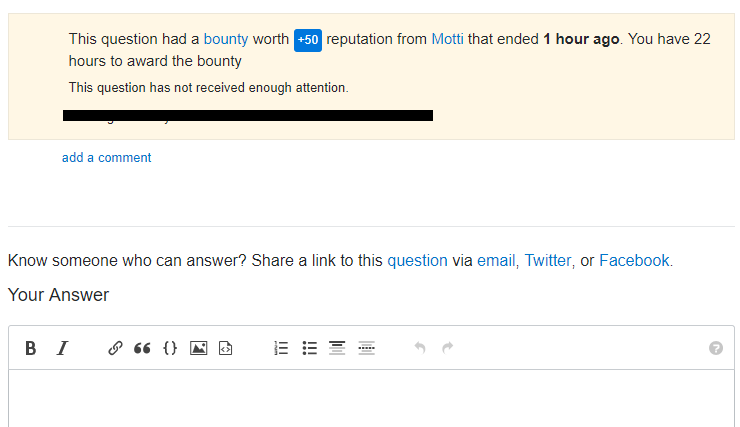 When the reason for the bounty was "This question has not received enough attention" it's rubbing salt on the wound, otherwise it's just useless. Browse other questions tagged feature-request bounty . Bounty grace period - no answers - award it to who exactly?